H Grossman Ltd. was founded by Harry and Ray Grossman in 1946. Known more simply now as HGL, the company has developed a unique position within the toy trade as a major supplier of collectable crazes, pocket money toys and their own brand of Ozbozz outdoor toy products. This latter range includes a fantastic selection of folding scooters, the preferred method of transport for most kids going to school, or hanging out with their mates at weekends. 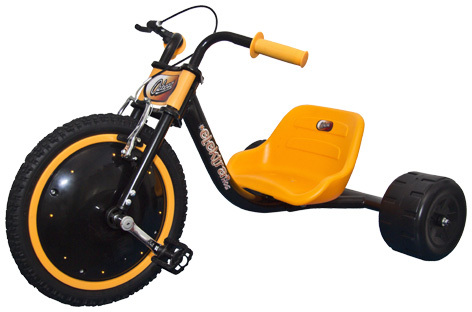 There are both two and three wheel versions, and some of them even include features like flashing lights. As well as the Ozbozz scooters, they have skateboards and protective pads, awesome street trikes and other outdoor items like pogo sticks and see saws. Many HGL products are endorsed with various popular licences such as Ben 10, Doctor Who, Moshi Monsters and Hello Kitty. As part of their pocket money ranges, HGL offer a superb selection of collectable prehistoric dinosaur figures. Sold in a large variety of sizes, there’s something to satisfy every dinosaur mad little boy or girl. Some products are TV advertised at key times of the year, and HGL can be relied upon to continue to innovate and introduce new exciting products to the marketplace.